Welcome to my stop on the blog tour for Dead Spots by Rhiannon Frater! Today I have an excerpt, my review of the book, and an awesome tour-wide giveaway! Warning: This book contains some mature themes including violence, profanity, and sexual content. Recommended for readers ages 18+. Dead Spots is the first book I have ever read by Rhiannon Frater. I really loved her writing style, characters(even the ones I hated! ), and the story in general! I knew it was in the "horror" genre, so I truly didn't expect to feel anything other than fear or well...horror! I was pleasantly surprised by the plethora of emotions that this story brought out in me. Just when Mackenzie begins to try and move on from her failed marriage and the loss of her son by driving back to her hometown in Texas, she gets caught in a "dead spot". We learn pretty quickly that these dead spots are a kind of "gateway" between the regular world and a place of dreams and nightmares. Things get creepy as soon as Mackenzie enters this world, where your worst fears can literally manifest and kill you. Well, lets just say that Mackenzie has a lot of fear and insecurity for the world to use against her. I really loved this book, but I don't think I will be entering any abandoned buildings, diners, theaters, ect. for the foreseeable future! I rooted for Mackenzie the whole way through this nightmare-like journey, and loved how much she changed for the better as a result of everything that is thrown at her. 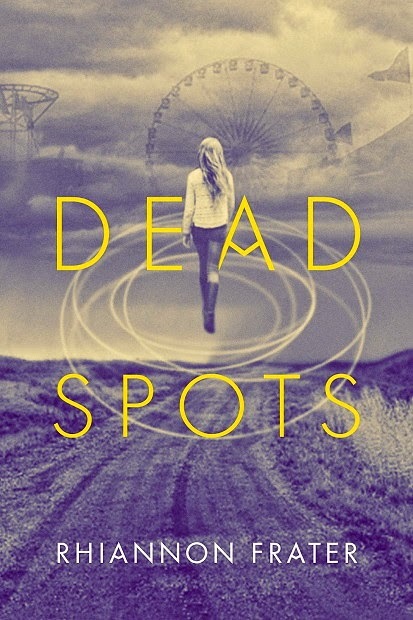 Dead Spots is a fast-paced, edge-of-your-seat thrill ride through a world that is creepy as hell, and I loved every minute of it! 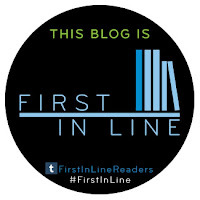 I will definitely be reading more from Rhiannon Frater! Mackenzie couldn’t tear her eyes from the spot where her child should have been playing with his toes and cooing at the Winnie- the- Pooh mobile rotating above his little head. Instead, the mobile was packed in a box along with all the clothes he would never wear, the toys he would never play with, and the soft, yellow baby blanket that he would never snuggle in. The crib and house were as vacant as her hollowed- out heart. Feeling faint, she gripped the crib rail and clung to it for stability. This was it. The end of everything she had held dear. Today was the day she closed the door on the life she had shared with Tanner. It was time to build a new one alone. Turning, Mackenzie saw Angie leaning against the doorjamb. Her pink blouse was sticking to her ample chest and full arms though the matching crop pants still looked crisp from ironing. Angie’s look was distinctly that of a mom. Mackenzie, meanwhile, was clad in tight jeans, her favorite high- heeled boots, and a pale blue silk T-shirt. Her lightweight navy blue leather jacket was set aside with her purse and keys for the cold weather that would soon be blowing into the area. Knowing that a truthful answer was not what Angie wanted to hear, Mackenzie mutely nodded. Mackenzie didn’t answer, not sure she could speak quite yet. It was so hard to remove all traces of Joshua from the house that should have been his home. Yet, the house was an empty shell now, devoid of everything that had once given it life. Her son had been born without once taking a breath or opening his eyes. Her husband and all his possessions were in another woman’s home now. All that was left was the remnants of her broken dreams. The ludicrousness of her sister- in- law’s comment hit her like a bad joke. Mackenzie had no other choice than to let go of her dead child, her empty house, and her soon- to- be ex-husband. There was nothing left to hold on to and keep her in Shreveport. Yet, she couldn’t verbalize these morose thoughts. Though she knew Angie sincerely cared about her and was attempting to be supportive, the truth was that Angie could never truly understand what Mackenzie was experiencing. It was a very lonely thought. With a sigh, she made a point of releasing the rail and stepping away from the crib she’d long ago painted pale blue when the world still seemed perfect and full of hope. “Are you sure you’re okay?” Angie tilted her head, worried. “I’m trying to be.” It wasn’t a lie. After months of surrendering to her grief, she was finally moving forward. It was a daunting endeavor, but she was determined to claw her way out of the black pit of depression she’d fallen into when the doctor had been unable to locate Joshua’s heartbeat. Mackenzie couldn’t wait for the break in the heat though she dreaded the thought of the storms. She’d never been able to shake her childhood fear of thunder. she has lived in various towns all over the state, she finally settled in Austin, Texas where she met her husband and worked as a governmental consultant. This sounds really good! I don't normally read horror, but I think I'll read this one. Excellent review.